The new prodcut features two non-contact steel reinforced NBR (Nitrile Butadiene Rubber) seals, and a high performance, long lasting polyurea (GXN) grease as standard. 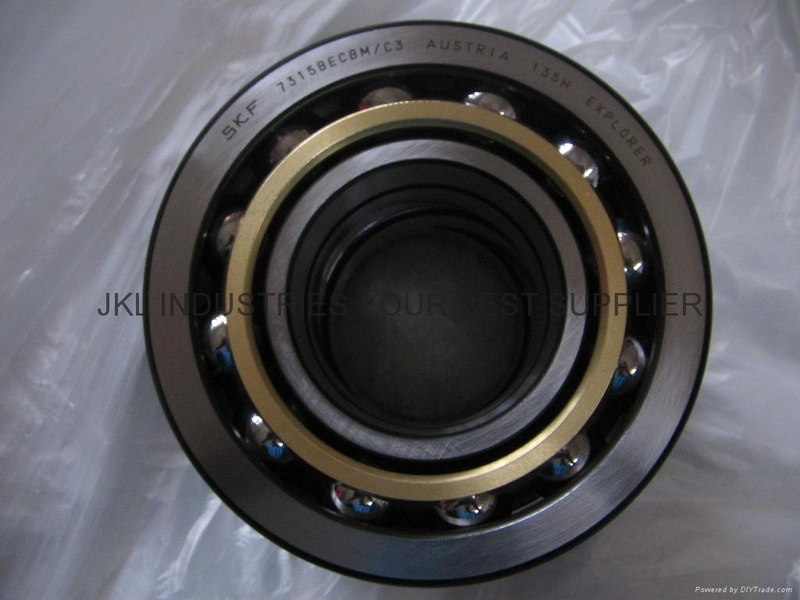 Sealed SKF single row angular contact ball bearings are dimensionally interchangeable with and have the same high load carrying capability as open bearings. SKF has declared that they have developed a new sealed single row angular contact ball bearing suitable for applications in many industries - where reliability, long service life and reduced life cycle cost are essential - ranging from pumps and compressors to gearboxes, elevators and electric motors. In comparison tests, sealed SKF single row angular contact ball bearings operated with 30% lower peak temperatures and 20% lower steady-state temperatures than same-size bearings with contact seals (values based on °C). Sealed SKF single row angular contact ball bearings in the 72 series range from 15 to 55 mm bore. Bearings in the 73 series range from 12 to 50 mm bore. As standard, they are available as non-matchable bearings for single use, however they can also be offered as universally matchable bearings in 4clearance and preload classes. The non-contact seal lip design forms an extremely narrow gap between the seal lip and its counterface on the bearing inner ring to exclude contaminants and retain grease, even in applications with vertical shafts. And because they are non-contacting, the seals do not generate frictional heat, which enables the bearings to operate at the same high speeds as open bearings. Cooler operating temperatures also extend the service life of the lubricant.